This weekend marks the start of a mo-vement. They say from humble beginnings grows legends and in this case the legacy is back stronger than before and it begins from stubble. 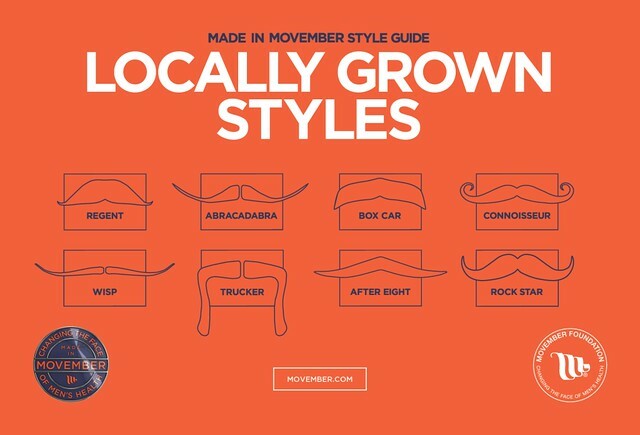 If you’ve not clocked on by now then from the not so subtle hints (…and obvious title) then let us say it loud and clear…it’s the start of Movember. Of course the team here at Elysium Magazine knew you were with us from the very start. We’ve always flown the flag for the hirsute month formerly known as November because it shines the spotlight oh so brightly on the men’s health issues. The campaign which originally started as a vehicle to raise the awareness of prostate cancer amongst men is now well established as the campaign to drive the conversation on a much wider set of men’s issues such as testicular cancer and mental health too. Men should not be afraid of facing these medical foes and the Movember movement is all about making it OK to talk openly about these real concerns one by dodgy moustache at a time. The numbers speak for themselves with the Movember campaign funding more than 800 programmes across 21 countries right now. It’s firmly put men’s health on the radar for everyone, not just men but their wives and girlfriends too. So now that the discerning gent is up to speed, it’s time to get involved. The drill has been beautifully simplistically as always. Start the month clean shaven and wait for your body’s natural rhythm to build that moustache one hair follicle at a time through the course of 30 days and raise sponsorship money for an almighty cause. 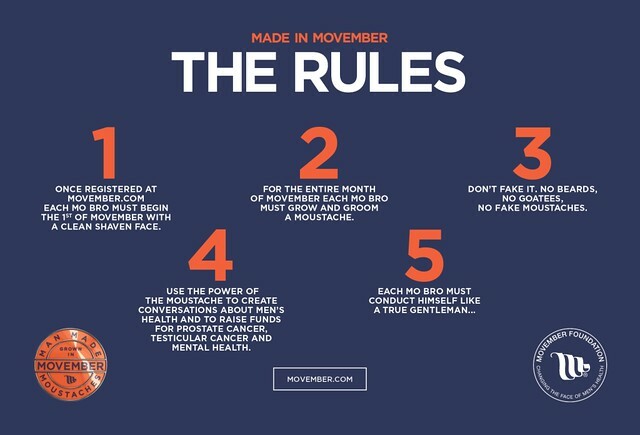 Beards are strictly a no-go though so all you hipsters need to abide by the rules. The fun as always lies in crafting your moustache to suit your style – so this is where those creative juices can get flowing as you dream up the best facial topiary to suit the persona you want to rock. Along with all the fun there is also a strong sense of camaraderie and you’ll soon acknowledge those Mo-Bros in ‘the club’ with nods of approval as you go about your daily lives. After all, we’re in it together.